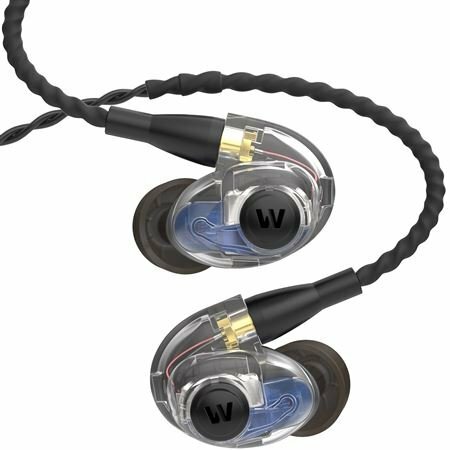 Shop Westone AM Pro 20 Dual-Driver In-Ear Monitor With Ambient Port Clear from AMS with 0% Interest Payment Plans and Free Shipping. The Westone AM Pro 20 is a professional tool packed with features that help you bring down the house every time you get on stage. The dual driver balanced armature design has the range and raw output for any stage condition. Westone’s SLED (Sonic Low-Pressure Equalization Device) Technology allows passive ambient sound with no degradation of the active monitor signal. The 2-way passive crossover network provides amazing definition and smooth transition across the entire frequency range. Individually hand-crafted in the USA, the AM Pro 20 is comfortable and secure with Up and Over cable routing that helps prevent microphonics and keeps your earphone securely in place. Traditional open vent ambient monitors compromise and degrade the frequency response of an in-ear monitor. With Westone’s exclusive SLED technology, you are in control of your musical environment. Enjoy full-range frequency response from your in-ear monitor signal, hear and feel your surroundings, and engage with fellow performers and your audience like never before. Recommended for on-stage monitoring and band practice. Crystal Clear. Totally worth the money. The ambient port is not good for band situation. Not enough isolation. Too much stage noise allowed in. I used to have to wear one in ear and have the other out for ambient music and stage banter/crowd listening. Not any longer. This thing rocks! A must buy!